When more and more developers come to test and adopt Synway’s VoIP gateway, Synway’s engineers to set up a online demo for worldwide clients to try it. 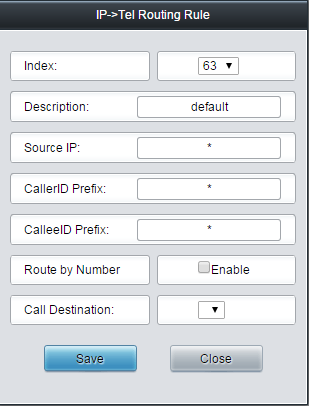 So if you want to know how to remotely configure and use Synway’s VoIP gateways in an easy way, please use this tool. Now a brand new GUI application is online available for you! Synway’s user-friendly GUI tool is known for its easy of user, and can actually showcase Synway’s a range of VoIP gateway’s functionality and features. Everything is ready so you can access into Synway’s gateway in minutes. Click the link blow, log in to our demo system and try it out! The new GUI application and online demo is to save developers’ time and improve their efficiency in testing and utilizing Synway’s VoIP gateways. It possesses a variety of functionality to configure and monitor SYNWAY VoIP Gateways online, including Quick Configuration, Operation Information, Advanced Configuration and System tools. Multiple protocols, including PCM , SS7 and ISDN can be configured and adjusted to any communication environment. System tools help maintenance and ensure stable running of VoIP gateways.